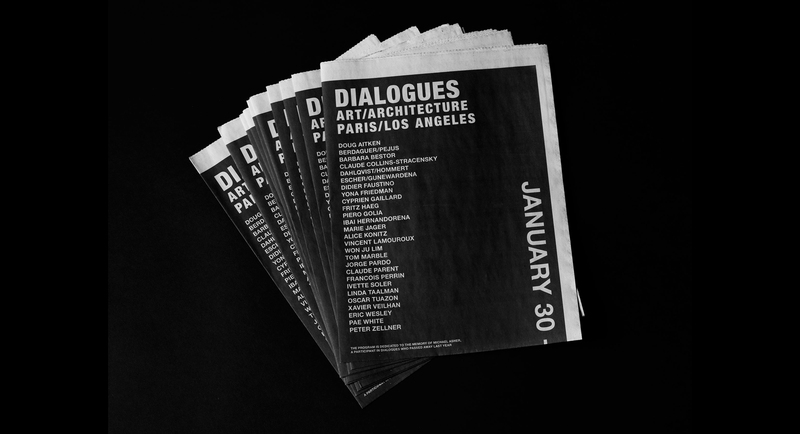 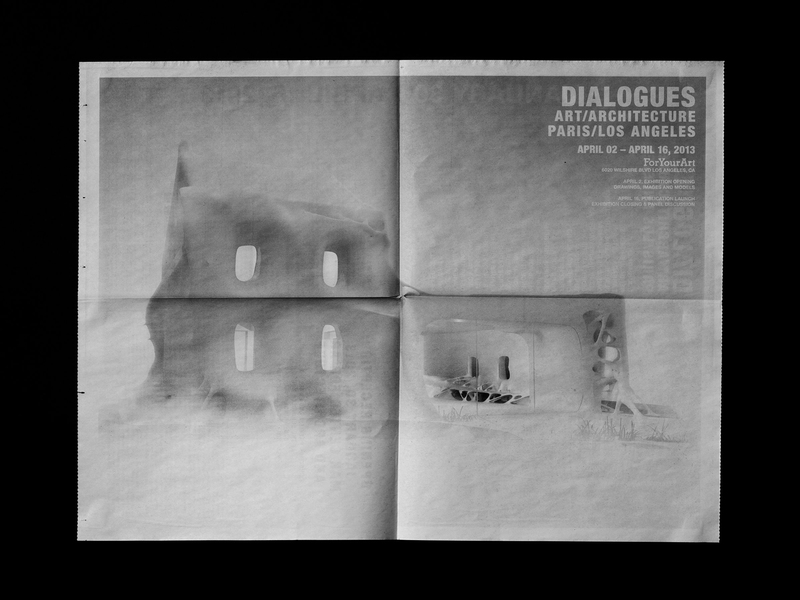 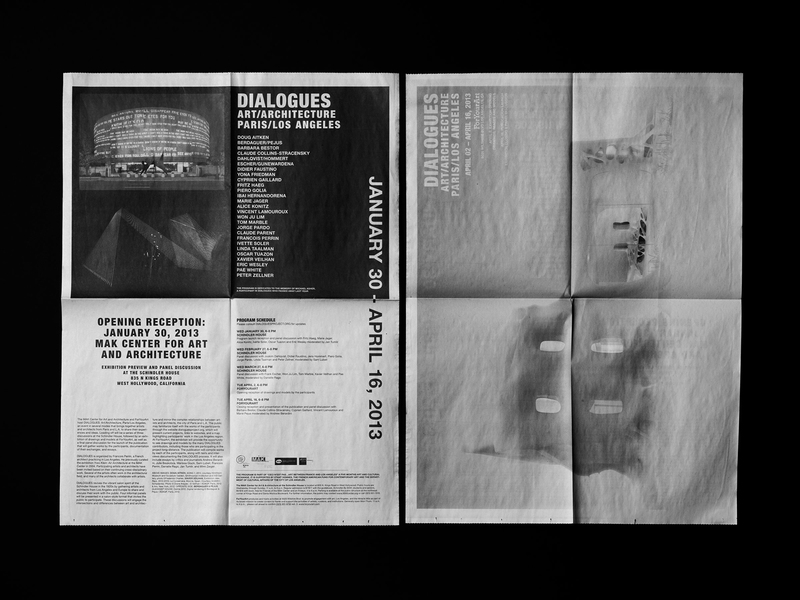 Folded poster designed to help promote DIALOGUES: Art/ Architecture, Paris/Los Angeles lecture series. 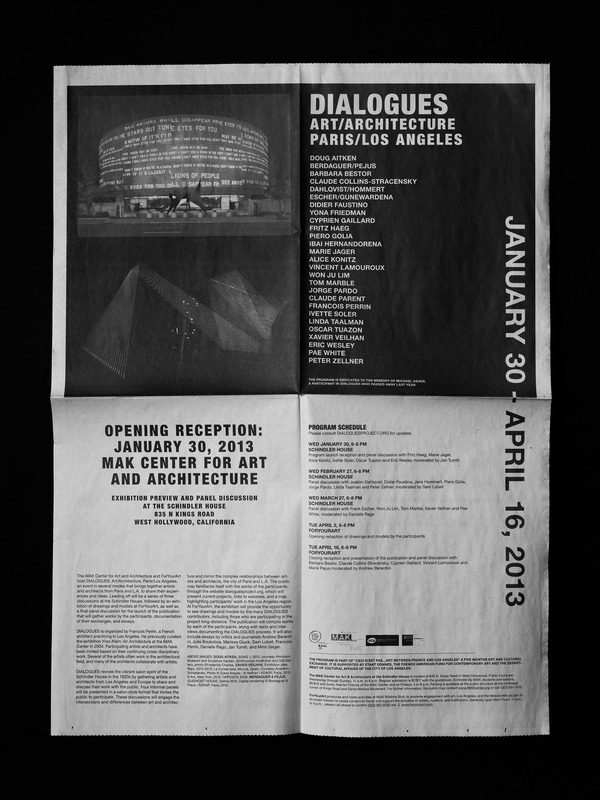 An event in several modes that brings together artists and architects from Paris and L.A. to share their experiences and ideas. 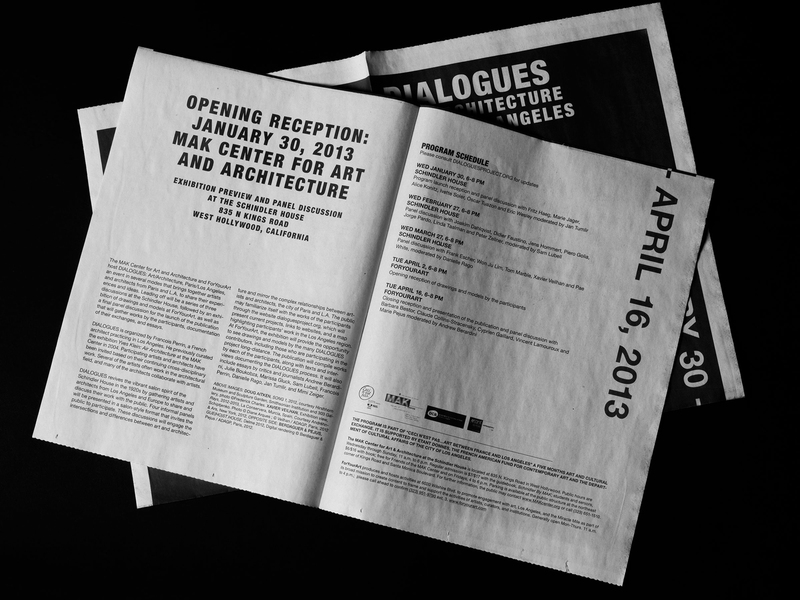 Hosted by the MAK Center for Art and Architecture and ForYourArt.